One of the most exciting moments in any wedding are the moments before the bride enters the ceremony. Friends and family alike wait with baited breath to finally get a glimpse of the breathtaking bride. For the bride this is a moment of anticipation, waiting to join the ceremony that she has prepared for months to finally enjoy. She's nervous, as anyone would be in her shoes but she is confident. This is her big day, a day that is going to define her for the rest of her life. This is the beginning of the first day with her lifelong partner. She prepares herself for the music to announce her walk to down the aisle to her groom. But before the music starts, before she takes her steps into the room of loved ones that can hardly contain their excitement, she stands... she waits. This brief, emotional moment of nervousness, anticipation, excitement, and joy is what we were able to capture. This special moment took place at the Chateau Le Jardin Event Venue in Woodbridge, Ontario located only thirty minutes north of Toronto, and mere moments away from the Toronto Pearson International Airport. 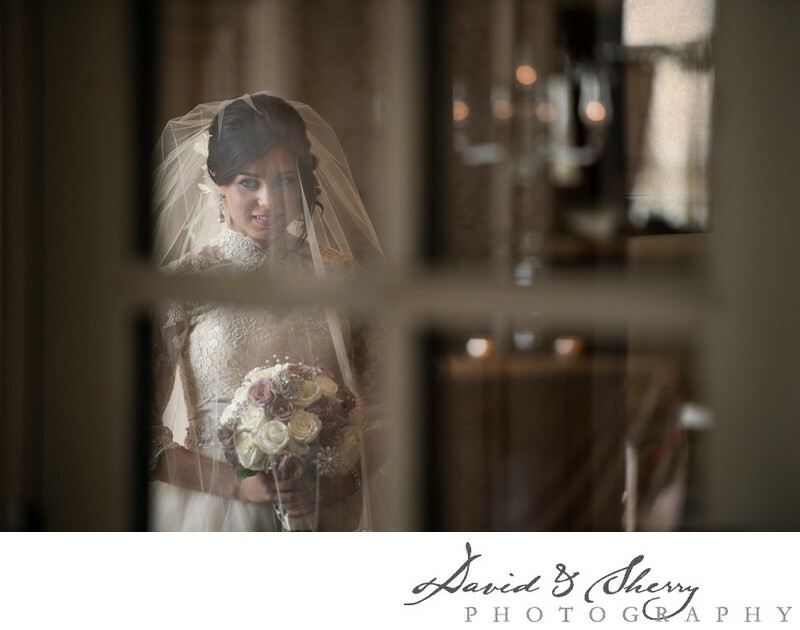 This location offered so many wonderful opportunities to capture the bride and groom's special day. The facility had 38,000 square feet of accessible space, that could be purposed for reception, banquet room, or theater that all is contained under massive thirty foot ceilings. In addition, due to the many large windows and open spaces, the venue is filled with natural lighting that granted us the beautifully illuminated picture here.